Stay on top of the ever-changing business challenges! With Banana Accounting you know how much capital you need or how will sales evolve. Forecast profits and choose the best time to make investments. Fast. Easy. Smart. Join us for accurate forecasting and budgeting! 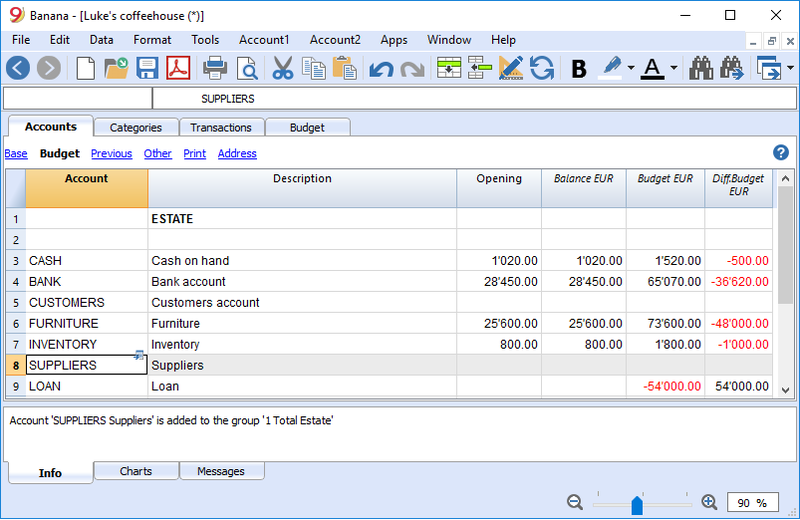 Achieve new levels of productivity thanks to our brilliant planning features. We offer automatic forecasts of liquidity, balance sheets and income statements. For seasoned professionals we designed a financial planning based on the double-entry accounting system, but newbies are welcome, too. 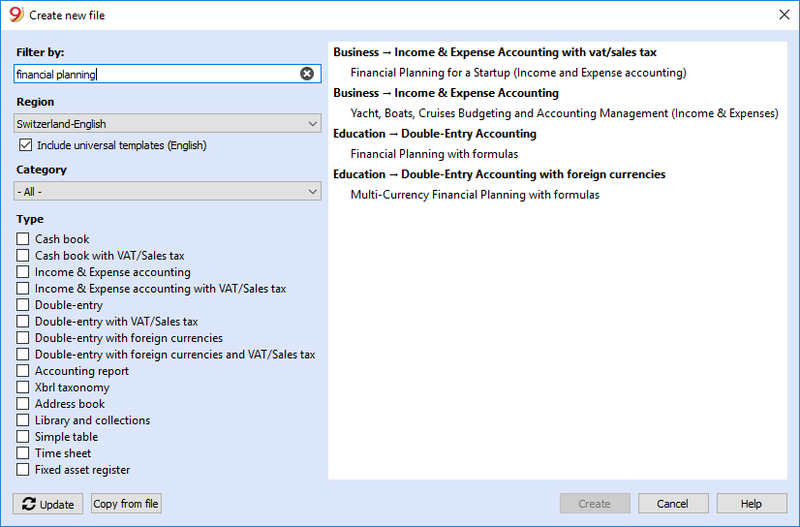 For them, we recommend planning features based on the income and expenses accounting method. Futureproof your business. Banana Accounting offers an instant view of all your budgeting transactions and the evolution of bank accounts balances, sales or costs. You can insert, copy, paste and edit as much as you wish to access real-time insights into key financial data. A wide range of ready-to-use financial plans is already set up. Just pick the one you need. You’ll create your company's forecast in no time. We support templates for various business models, startups, companies, associations and individuals. 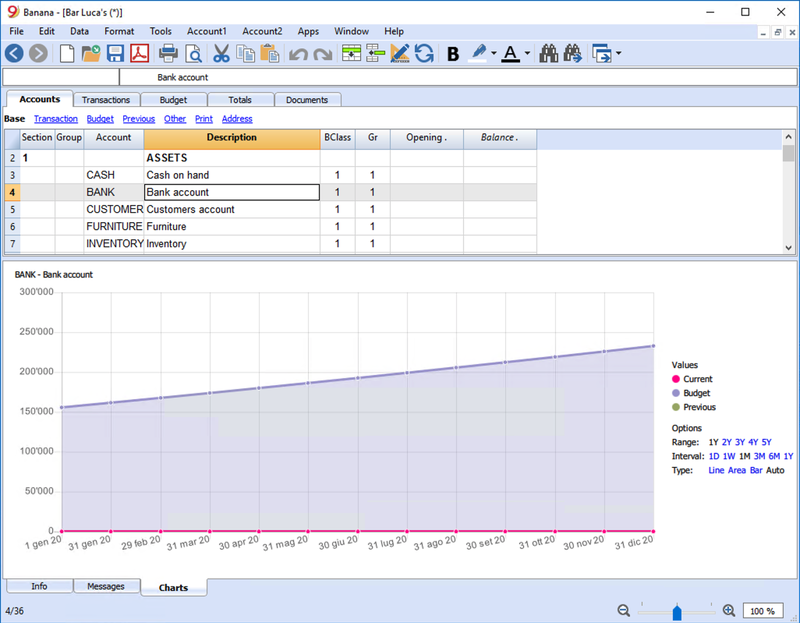 Why waste time AND run the risk of manual entry errors, when you can automate? 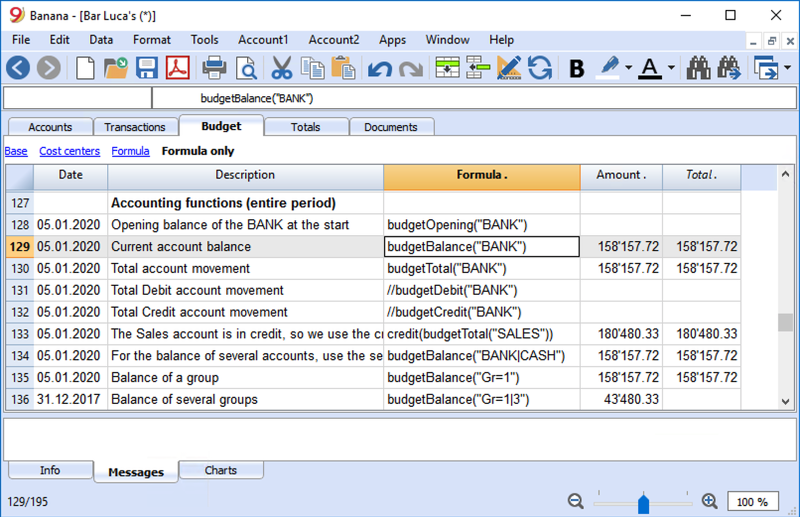 With Banana Accounting, you just enter quantities, prices and even formulas to speed up the calculations. Next, you can set up complex simulations to understand how liquidity and turnover could evolve. Get ready to enhance business performance with a few clicks! Forward-thinking businesses are driven by accurate predictive insights. Banana Accounting is able to project your financial forecast over several years, by month, quarter, half year or year. 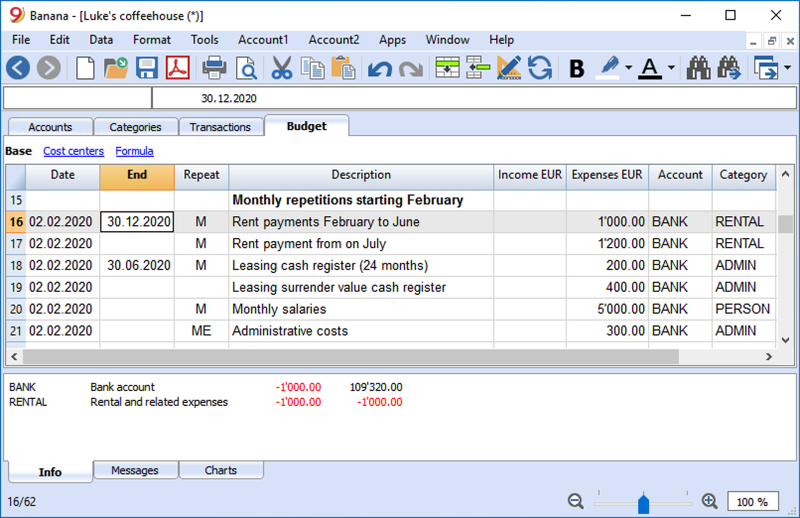 At a glance, you’ll get a realistic glimpse into your future sales volumes, earnings and figure out if your capital is enough. Should anything change, you add, edit or delete entries and forecasts will be instantly updated. For instance if an investment increase happens now, change its value. If it’s anticipated, change its date. You’re free to adapt the planning to new situations. Create additional scenarios to evaluate different alternatives and choose the best one. Successful business growth starts here! Go ahead. Give it a go! 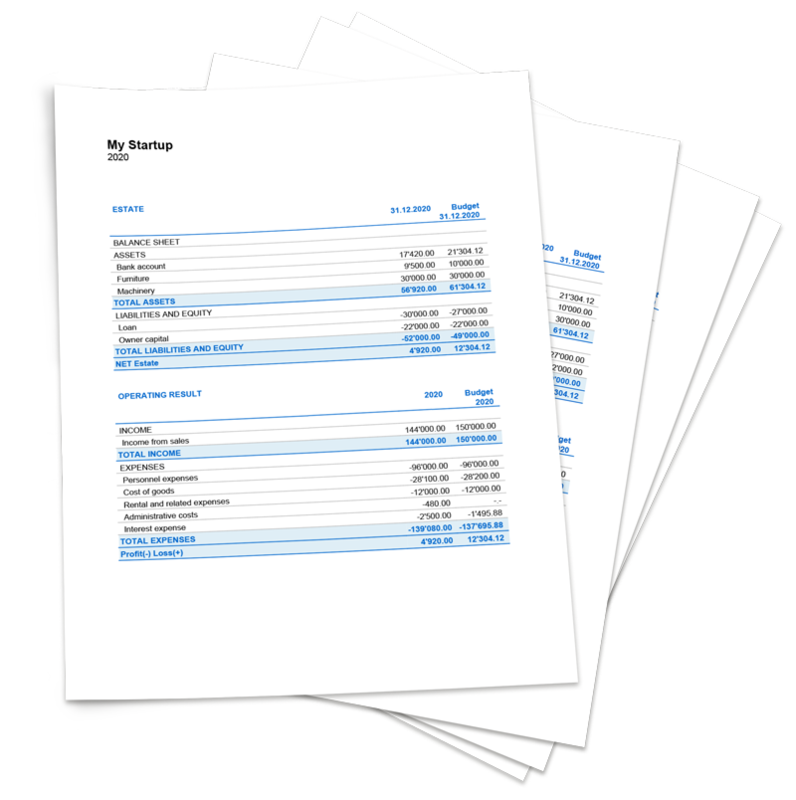 Download the software, create your own accounting file and try out everything! By purchasing the license key, you can lift the 70 entries limitation, and all your work will be kept.